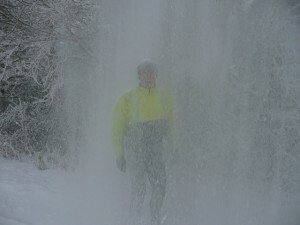 When winters are as tough as this one, trying to get in some exercise can be difficult. Even when you have a gym membership, going out in the snow or ice is not only unpleasant, but it can be downright dangerous. 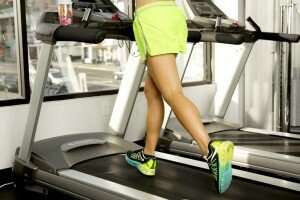 This is why so many people keep treadmills on hand. Regardless of the weather, you can always exercise right at home. Of course, getting a treadmill depends on several factors; price, the amount of space you have on hand, and how much you intend to use it. We are going to take a look at the top treadmills available in 2017 – there is surely one here to suit your needs, space, and budget! This is one of the most expensive treadmills around, but with a name like Schwinn behind it, you know it’s a keeper that should last many, many years. With an average price of $1,000, this treadmill has a powerful 3.0 continuous motor, 26 workout programs, and two monitors, which means you can watch your tablet or read while still keeping an eye on your performance. Nice little features, such as a built in fan, in console speakers, as well as an MP3 input port and USB media charging means you can listen to your jams and never have to worry about battery life. 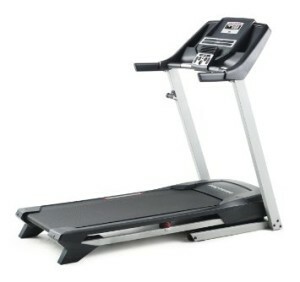 This machine is considered to be a medium priced treadmill, going for approximately $550. 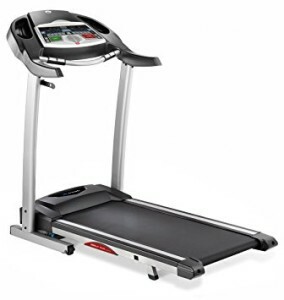 This treadmill has everything you would want, such as an adjustable incline level and foldable design, and, for the money, it has some nice features you don’t expect, such as iPod and MP3 player USB plug in. With a full 18 pre-programmed workouts, you won’t get bored easily. 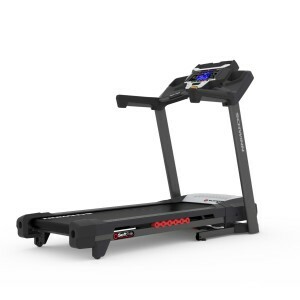 This is another reasonably priced treadmill that runs about $450. The ProForm ZT4 comes with a nice 2.75 CHP motor that hits a max of 10 MPH. This is a super portable unit that folds up nicely, but still has a 10 percent incline option. If you like to monitor your heart rate, this treadmill features contact grips so you can reach your optimum heart rate zone and burn more calories. For those on a tight budget, the Weslo Cadence can’t be beat! Priced at less than $300, this super compact and super space saving design is perfect for those who only intend to use it during bad weather, or for those who are concerned about space. Six pre-programmed workouts, two position incline, and a comfortably cushioned running surface makes this a model most people can’t say no to! 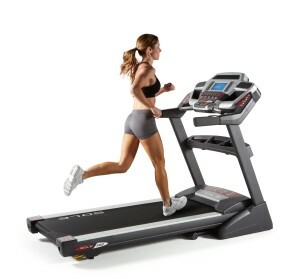 This is another budget ($350) treadmill that still offers many of the features of higher priced models. Merit Fitness has a 1.5 CHP (2.5 THP) motor that can reach speeds of 10 MPH. Sturdy enough to support 250 lbs, the 3 window LED display will track time, speed, calories, distance run, and more! Folds to a tiny 29W x 26.25H x 56D, and has a lifetime warranty on the frame and 1 year on the motor itself. 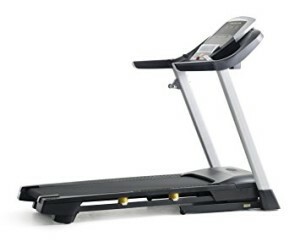 This treadmill gets 4 out of 5 stars on Amazon, so you know it’s a good deal for the price. This is the treadmill for those who want the absolute best in life, even in a treadmill. Cushion Flex Whisper Deck has been shown to reduce the impact on joints by an amazing 40% (when compared to running on asphalt). 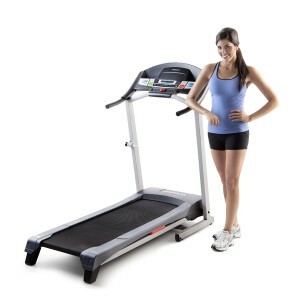 Measures a whopping 35W x 58H x 80D, this treadmill features fans, two heart programs, built in MP3 sound system and a lifetime warranty on the frame, motor, and deck. At almost $2 grand, this is the top of the line, but if you can afford it, you will not be disappointed! Amazon is offering 12 months interest free financing right now, so check it out here.